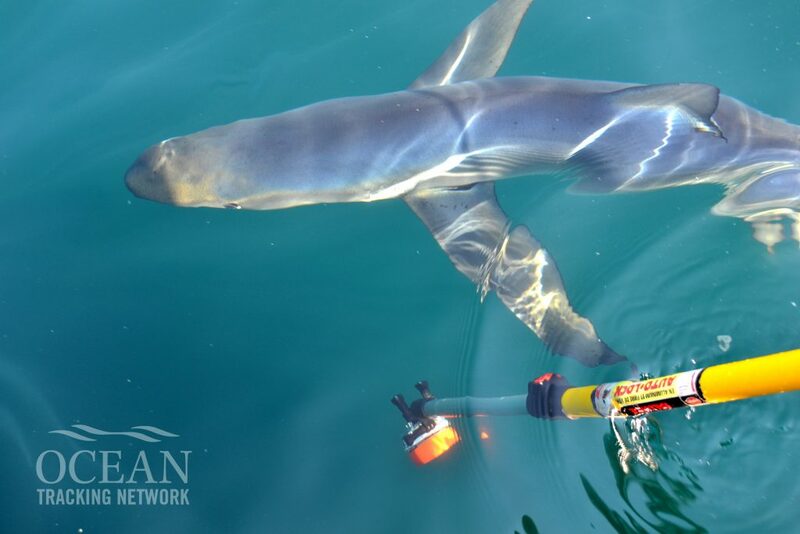 Since 2013, OTN has led a special study using long-life acoustic tags to track a population of juvenile blue sharks, a common bycatch species and a key component of the marine food web in the Northwest Atlantic. The program has since blossomed into a unique scientific field course and ‘brewed up’ some unlikely inspiration. 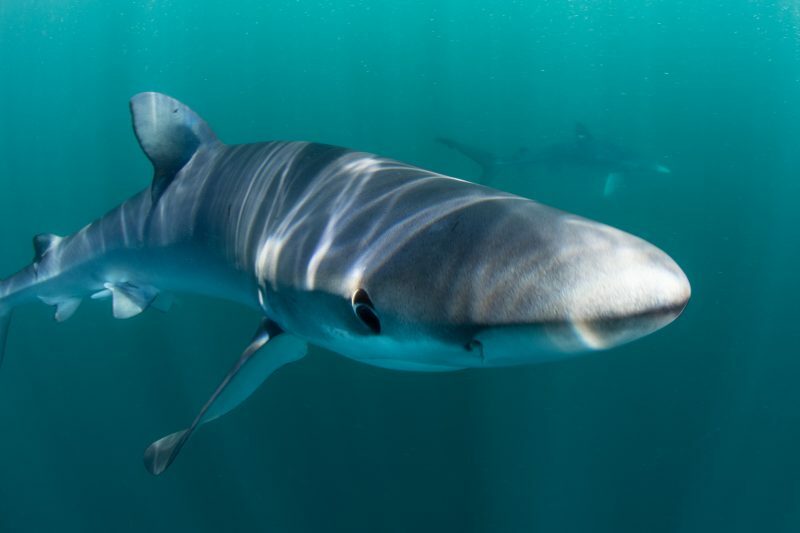 Blue sharks are tracked using both satellite and acoustic tags: acoustic tags transmit a coded sound (often referred to as a “ping”) that is recorded by receivers. Receivers can “hear” tags up to one kilometre away, allowing researchers to approximate the sharks’ location and timing once the receiver’s data has been downloaded. Satellite tags placed on the shark’s dorsal fin act like a GPS transmitter, communicating archived location information to satellites as the animal breaks the surface. The study tracks these top predators’ distributions and migratory pathways. The data have revealed ocean “hotspots”– areas of high productivity where many animals congregate to feed. By tracking the animals over multiple years, researchers can trace how arrival and departure times of the sharks in Atlantic waters is changing over time. 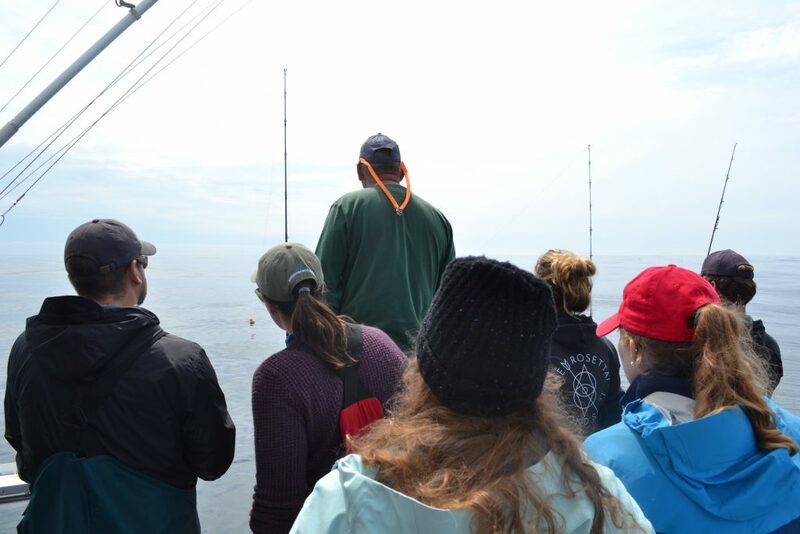 Tagged animals are monitored along OTN’s Halifax Line–the world’s longest listening array–using bottom-moored receivers that stretch from the coast more than 200 kilometres to the Scotian Shelf. In the past, OTN’s shark tracking expeditions have included fishers, students, professors, and even Canadian political satirist Rick Mercer, who joined the crew for a shark tagging segment as part of the Rick Mercer Report. The piece, which aired in 2014, featured a well-rounded explanation of shark biology and Rick even had the opportunity to name a shark. Rick’s shark, Blue Rodeo, has since moved into the open ocean as an adult, leaving her inshore grounds (what tracking data suggest is a hot spot for juvenile females). As the boat cruised into the horizon, Rick’s sign off for the segment was, ‘Tag! 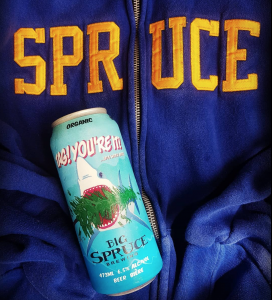 You’re It!’, which inspired a the moniker for a beer brewed in partnership with Big Spruce Brewing. OTN ED, Fred Whoriskey, and TV personality, Rick Mercer, diving with blue sharks in 2014. On August 7, OTN will be inviting another special guest shark tagging: Canada Foundation for Innovation (CFI) President, Dr. Roseann Runte, will have an opportunity to see the research program firsthand and discuss collaboration, research and innovation in Canada. In 2017, OTN received a $11.4 million investment from CFI towards operations and maintenance of infrastructure and has been instrumental to the continuation of the Network’s core tracking activities. The blue shark tracking project is also nested within a Dalhousie undergraduate course–the first of its kind in Canada– where students are trained in shark tagging, tracking and data analysis techniques. Halifax Member of Parliament Andy Fillmore and Big Spruce Brewing Owner Jeremy White will also join the crew, and highlight ‘colla-beer-ation’, which launched last year. The conservation in a can was a joint dream between the research organization and the brewery, uniting ocean enthusiasts and beer aficionados alike and raising more than $11,000 for local ocean education, outreach and research programs. This August, ‘Tag, You’re It!’ re-launches in support of more conservation initiatives. Follow the shark tagging expedition on Aug. 7 via @OceanTracking on Twitter 8 am – 3 pm ADT for live updates!